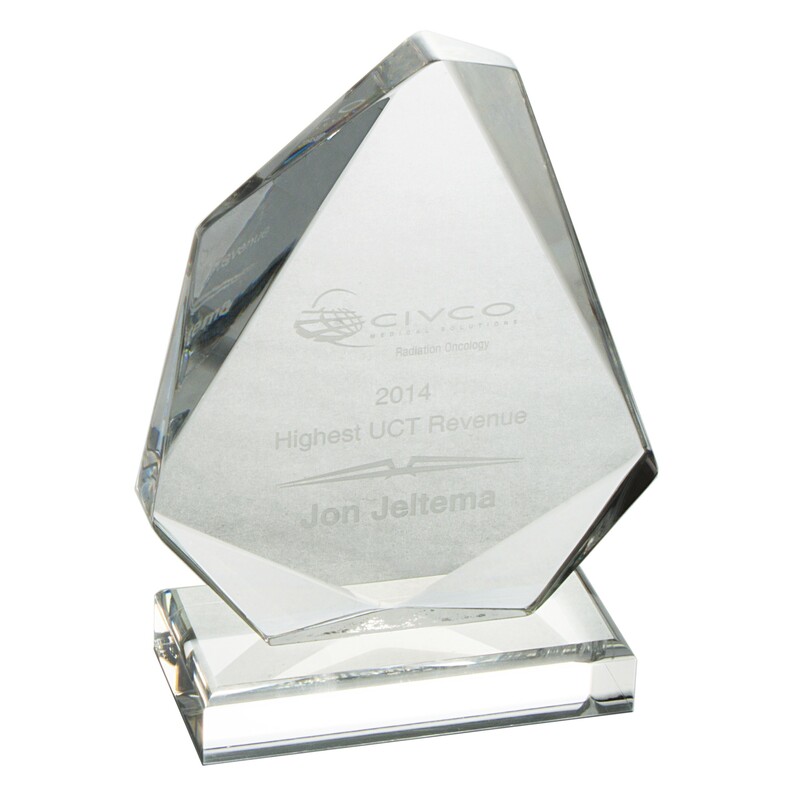 Award our stunning Jewel Corporate Acrylic Awards to deserving employees at your next corporate event! Made of clear lucite, these awards feature multi-faceted beveled edges that sparkle like rough-cut diamonds attached to a clear base. Includes 8 lines of frosted engraving. Small: 4.75 inches wide by 6.75 inches tall by 0.75 inches thick. Large: 6 inches wide by 8.25 inches tall by 0.75 inches thick. Small: 6.75", Medium: 7.75", Large: 8.25"
Small: 5.75"x4.5", Medium: 6.25"x5.375", Large: 7"x6"